You have a following road structure: subgrade moduli 20 MPa, 40 cm of unbound base with moduli 100 Mpa and 10 cm of bituminous layer with moduli 1500 Mpa. Which statements are true? The vertical compressive strain at the top part of the unbound layers is very high and there is a very high risk of immediate failure / Mode 1 rutting. 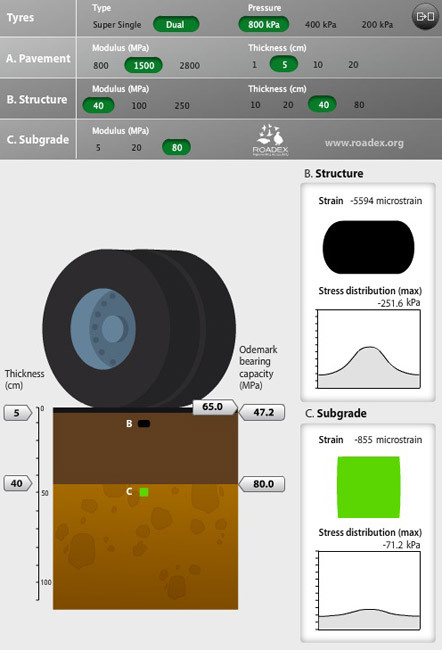 The vertical compressive strain on the top of the subgrade is high and there is a high risk of Mode 2 rutting. The vertical compressive strain at the top part of the unbound layers is low and there is a very low risk of Mode 1 rutting. 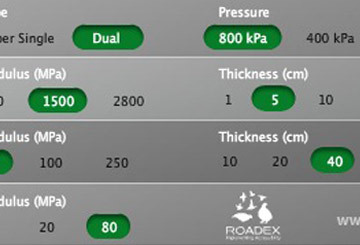 The vertical compressive strain on the top of the subgrade is low and there is a very low risk of Mode 2 rutting. The vertical compressive strain at the top part of the unbound layers is high and there is a high risk of Mode 1 rutting. 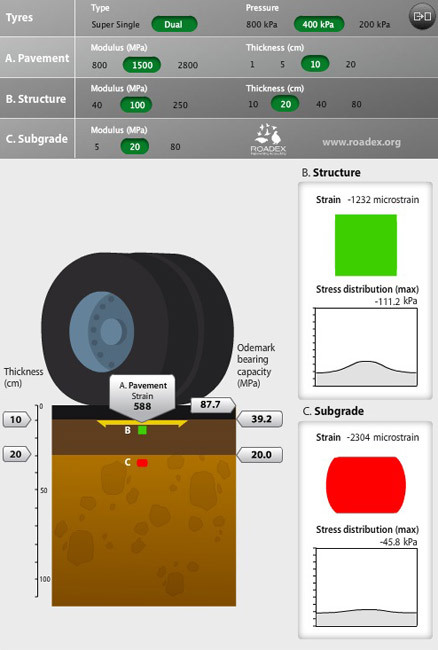 The vertical compressive strain on the top of the subgrade is high and there is high a risk of Mode 2 rutting. 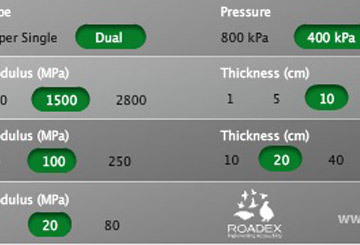 The horizontal tensile strain at the bottom of the bound layers is moderate and there is a medium risk of pavement fatigue.